This is a guest post from Philip Goebel of Melbourne, Australia. Thanks Phil! 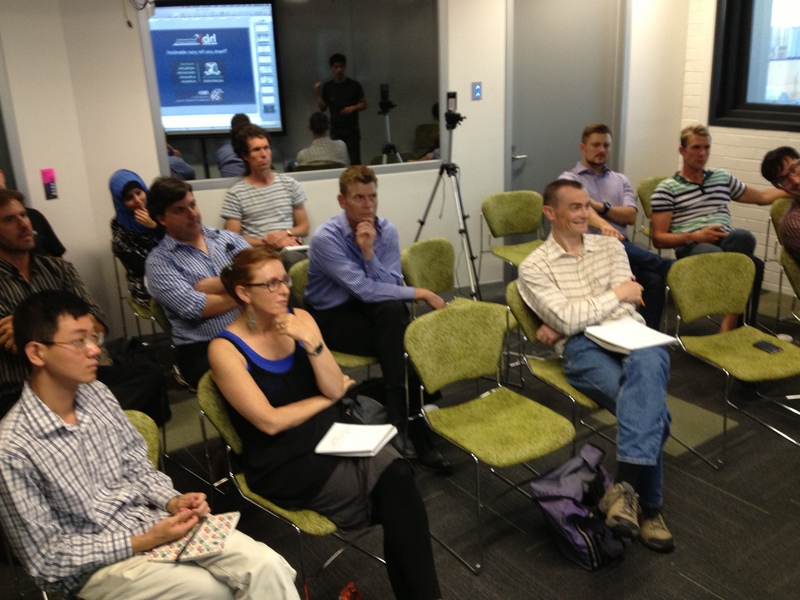 On January 30th, QS Melbourne held its first Show & Tell. It was on Melbourne University campus, with the space being organized by the university’s Interaction Design Lab and some light snacks and drinks for the audience provided by the Health and Biomedical Informatics Research Unit. After a short round of introductions, our first presenter Paul Kittson (co-organizer of QS Melbourne) started the Show & Tell. Paul talked about his struggle with chronic knee pain. After visiting multiple health professionals, a physiotherapist suggested starting a pain journal to track the pain. Paul followed this advice and began regularly tracking his pain along with a note about his activity, using old-fashioned pen and paper. This led to surprising insights about what was aggravating his knee pain, resulting in a reduction of self-limiting behaviour and eventually leading to the cessation of chronic pain symptoms. Motivated by this success with self-tracking, Paul has gone on to quantify his productivity, mood and sleep. 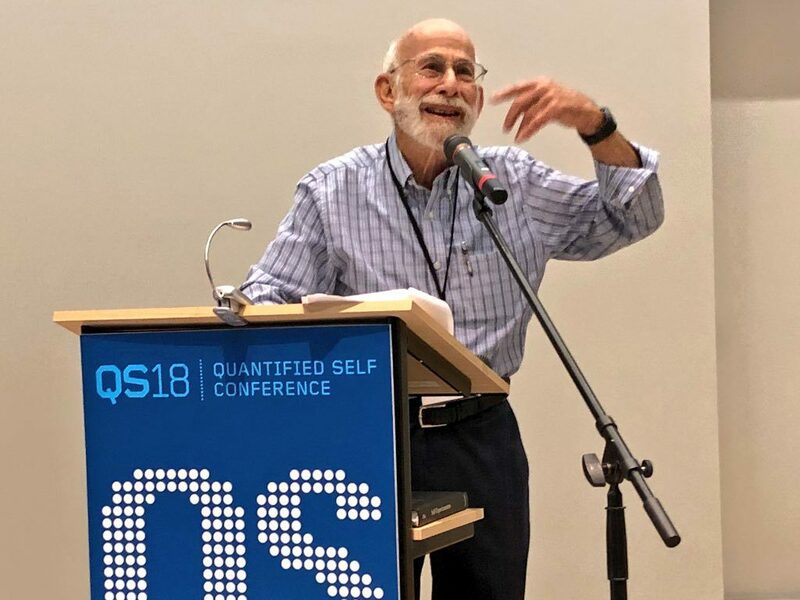 This is a great example of how self-tracking can be used to empower people to take control of health conditions and become experts on their own body to find answers that health professionals cannot. Interesting questions and discussion followed about the specifics of Paul’s tracking behaviour such as how often and when to track and how that may impact the data. The next presenter was myself (also a co-organizer of QS Melbourne). 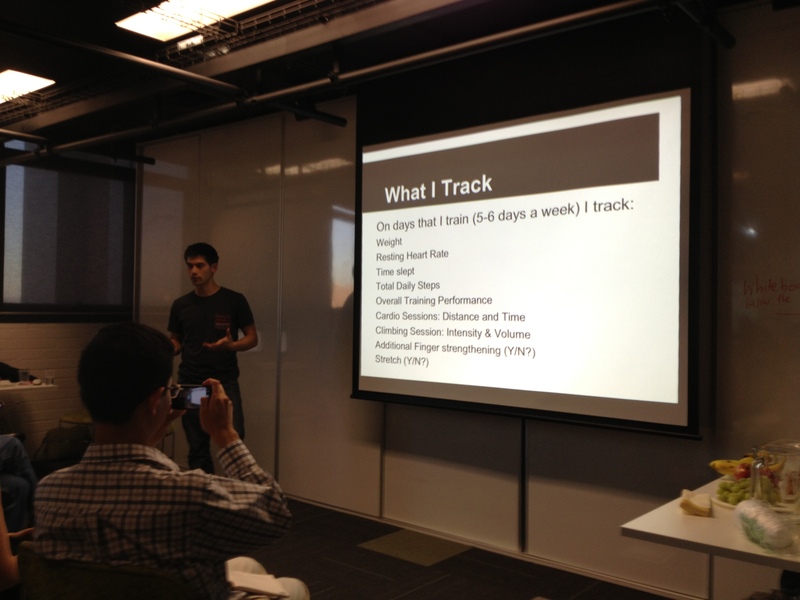 I discussed my tracking habits for the purpose of performance improvement for rock climbing. I collect data through a simple Google form URL and then use iftt.com to send myself reminders to fill out the form after climbing sessions. Most of the questions on the form are very quick to fill out and give an indication of volume and intensity of workouts. This data along with resting heart rate, fitbit steps, sleep and weight data is compiled in a Google spreadsheet. About once a month I upload the spreadsheet to Wolfram Alpha Pro to explore the data and look for insights about training and performance. The purpose of the presentation was not to get others to start rock climbing, but rather to show people new to self-tracking some of the tools that I use, how I aggregate my data, and show one way to visualize the data to gain some insight. Good discussion followed which touched on the limitations of active tracking (answering questions) versus passively tracking data (fitbit sensor data). Our final presenter was Fernando Martin-Sanchez. Fernando, a keen runner, who showed us data from 20 years of running marathons. By charting the times of elite runners with their respective distances, Fernando came up with a model of the relationship of how speed changes as the distance of a particular running event gets longer. Using his personal data from multiple marathon performances and training data collected over a long period of time, he created a series of personal theoretical curves so that when he entered his personal times for a given distance he could predict his performance for another distance. Fernando discussed his use of this curve to make decisions around whether or not to participate in a marathon based on his time on a 2km run, the remaining time he had to train before the marathon, and his desire for a good performance. Fernando is also professor and chair of Health Informatics at Melbourne University Medical School, so he discussed a research project which has strong QS connections and made a callout for volunteers. The project is being funded by the Institute for a Broadband Enabled Society and is called: Self-omics: addressing needs of the ‘quantified individual’ for enabling participatory & personalised medicine. After wrapping up with all the presentations the lively discussion moved to a nearby pub for much more casual chatting. A call has been made for more self-trackers interested in presenting their data with the goal of having a Show & Tell meeting every 2 months in Melbourne.